SEAN HANNITY (HOST): Now before we get to our top story, I want to focus on Hannity Watch, the radical 2020 Democratic candidates. Yet another Democrat has jumped into the race. 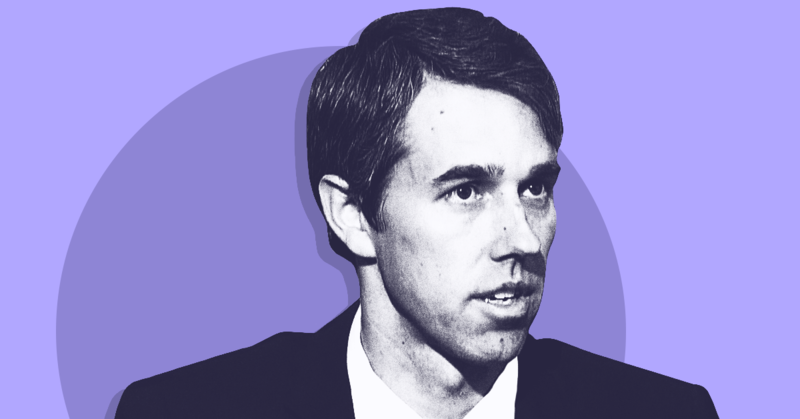 This case being former Congressman Robert Francis "Bozo" O'Rourke -- well, that's what I call him -- is flailing his way into the race this week, literally, telling Vanity Fair that he was born to run for president. How regal. Needless to say, Bozo got off to a hot start in Iowa. On the more humorous side, Speaker Pelosi was actually asked today to name Bozo's greatest accomplishments during his time there in the House. KARL ROVE (FOX NEWS CONTRIBUTOR): And look, please, let's not refer to him by the fake name, nickname that he did not use at Woodberry Forest, that he did not use at Columbia, that he did not use as an adult when he was in a grunge band, but only started to re-emphasize when he ran for the city council in a heavily Latino town, El Paso, TX. Let's please refer to him by the name he appears on the ballot as, Robert Francis O'Rourke. Please, let’s do that. MARIA BARTIROMO (HOST): Wow, that’s a good point. BARTIROMO: So he just started using it when he ran for office. That's interesting. Because I was just asking the panel about Beto and Robert Francis and why now we’re calling him Beto. I mean, he's Irish, right? BILL HEMMER (HOST): Beto O’Rourke is now in the game for the Democratic primary. What’s the president think about that? HOGAN GIDLEY (WHITE HOUSE DEPUTY PRESS SECRETARY): Well first of all, you pronounced it wrong. It’s Robert Francis. That’s No. 1. HEMMER: Just to follow on that, you answered that question by calling him Robert Francis. Is that how the president will refer to him? RONNA MCDANIEL (REPUBLICAN NATIONAL COMMITTEE CHAIRWOMAN): He -- Robert Francis -- he's announcing at an opportune time, St. Patrick's Day is coming up. Robert Francis O'Rourke, what has he done? He's passed legislation to rename a courthouse and lost to Ted Cruz. STUART VARNEY (HOST): Very interesting put-down of Beto O’Rourke, I got to say. MCDANIEL: Let’s not forget, we’re coming on St. Patrick’s Day, let’s use his given name. BILL HEMMER (HOST): Did we learn enough about Beto’s positions when he ran that race against Ted Cruz? Hannity, Mornings With Maria Bartiromo, America's Newsroom, Varney & Co.